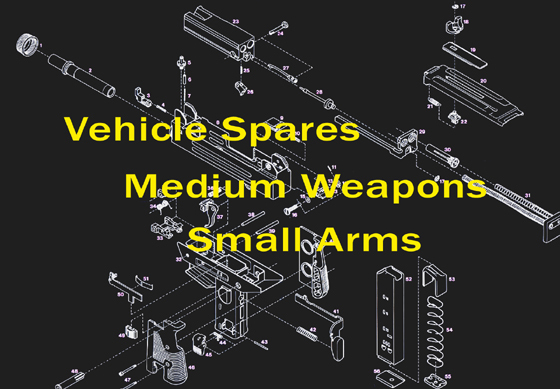 We hold spares for a wide range of small arms as well as cannon and artillery. We hold spares of hull, engine, turret & gun for Scorpion, Fox and Chieftain. Please contact us to request lists and prices for our spares.